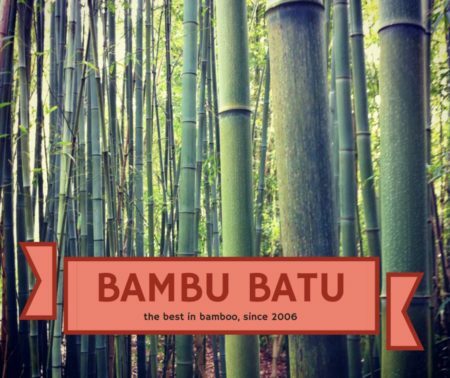 Here at Bambu Batu, the House of Bamboo, we’re pretty much suckers for anything panda bear related, and we’ve got a really good gut feeling about this one. In an age of economic uncertainty and unsustainable fossil fuel dependency, the idea of relying on Panda Poop Fuel for your energy needs has to make you smile. Ok, so when we say Panda Poop Fuel, we’re not exactly talking about running your car on panda poop. Actually, it’s the little enzymes that live in the gut of the giant panda bear that we are really interested in. These microbes that populate the G.I. 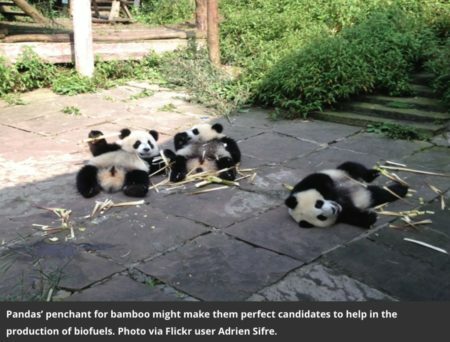 tract of the beloved panda have some powerful properties that could make them very useful in the realm of biofuels. The average giant panda bear eats about 20 or 30 pounds of bamboo every day, which is a pretty amazing feat if you stop to think about it. For one thing, that means they have to spend almost all of their time foraging and consuming bamboo just to keep up. That’s because bamboo is actually not very nutritious, and since it constitutes 99% of the panda’s intake, they have to ingest some pretty ridiculous quantities of the grass just to meet their dietary needs. But secondly, and what makes them interesting to the biofuel developers, is that bamboo is incredibly difficult to digest. Have you ever tried to break a bamboo pole over your knee? Now think about trying to break some of that stuff down in you belly. No, it’s not going to happen. Not unless your gut is loaded with the kind of bacteria found in the unusually short intestines of the panda bear. Capable of breaking the obstreperous lignocellulose down into something accessible to the panda bear, these microbes could also have a very useful application in breaking down the difficult-to-process cellulose of corn byproducts and other discarded fibrous plant matter that could potentially be a rich source of biomass for fuel. And this could all be great news for the endangered panda bears, because in today’s economy they may have just found the perfect niche to make themselves a hot commodity, something that even a heartless Koch Brother might realize is worth protecting.